Fast, flexible franchise financing options to grow your franchise locations, complete mandate projects and much, much more. At Ascentium Capital, we recognize that single and multi-unit franchise owners are busy entrepreneurs with plenty on their plate and busy keeping their franchise fresh, viable and profitable. 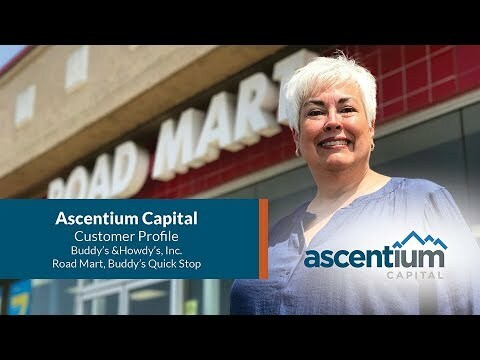 To help drive your success, Ascentium Capital finances all types of franchise financing purchases. Or, if you need cash quickly to cover payroll or other expenses, Ascentium Capital can provide fast, flexible short-term business loans, with most credit decisions within two hours. Whether you are a franchisee or a franchisor, Ascentium’s franchise financing options can help propel your business. With Ascentium Capital you not only get the financial assistance you need to push your franchise business to the next level you will also have the peace of mind knowing you are working with one of the most experienced names in the franchise funding industry. Let us help make your franchise even more successful. We also work with franchisors, distributors, manufacturers, and other business partners to help your customers get financed. Ascentium has provided businesses with over $3 billion – capture your opportunities with flexible financing today!